India’s growth curve is greatly dependent on the movement of MSME sector. This is a line which is commonly used by Indian print and electronic media, these days, especially after the movement of Make in India initiative. If we come across the array of reasons, we come to know about many facts that we don’t know. It, however, includes the strengths and weaknesses. 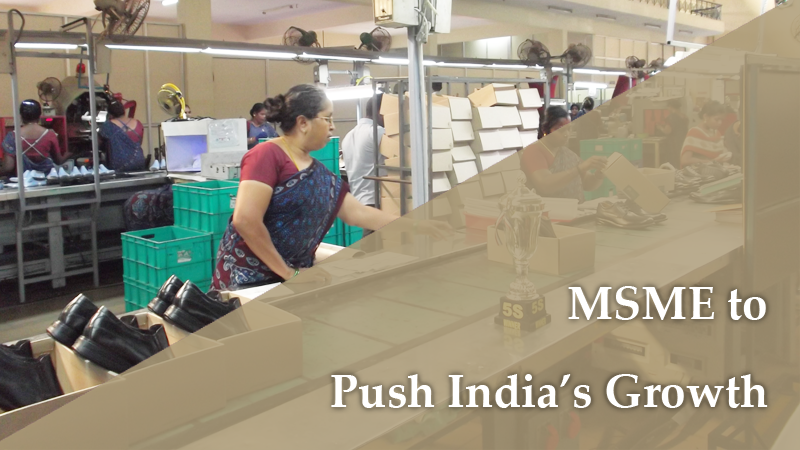 MSME sector is perhaps the pillar of India’s lasting growth and it is true from many ends. When we talk about the growth of MSME sector, we are supposed to discuss about the diversity because this is directly related to its movement. The diversity in terms of level, size, and involved technology is visible in Indian MSME. China is leading the sector and we are serving the second position, as of now. Here is a brief picture which will tell you about the obstacles of this industry, in Indian subcontinent. For its rapid growth, Indian entrepreneurs need to focus on their marketing strategy, as it is substantially poor here. The incorporation of recent marketing trends may play a big role in this context. However, inadequate amount of capital and non-availability of technology are the other factors where India lacks. We also need to focus on the enlargement of production capacity which can be done with the involvement of new technological trends. Eventually, a strong technological base has to be established. Other than above, as suggested by our PM Shri Narender Modi, India should focus on a policy of Zero Effect and Zero Defect while manufacturing and production of goods and services. Main prospects of Make in India initiative are the invitation of investment, enhancement of innovation, and enhance skill development. Aiming to be the leader of MSME industry, the subcontinent is significantly moving ahead in all the mentioned areas. Alongside, the NBFC industry is rising. Top NBFCs in India are focusing on the simplification of loan disbursement and minimization of interest rate, while providing small or medium loans to the business owners. The MSME sector is also inviting women entrepreneurs across the country. Targeting to create new job opportunities, a wide range of females are choosing this as their career options, which is definitely a great sign of India’s lasting growth. The overall scenario is positive and the country is on the right track of growth.